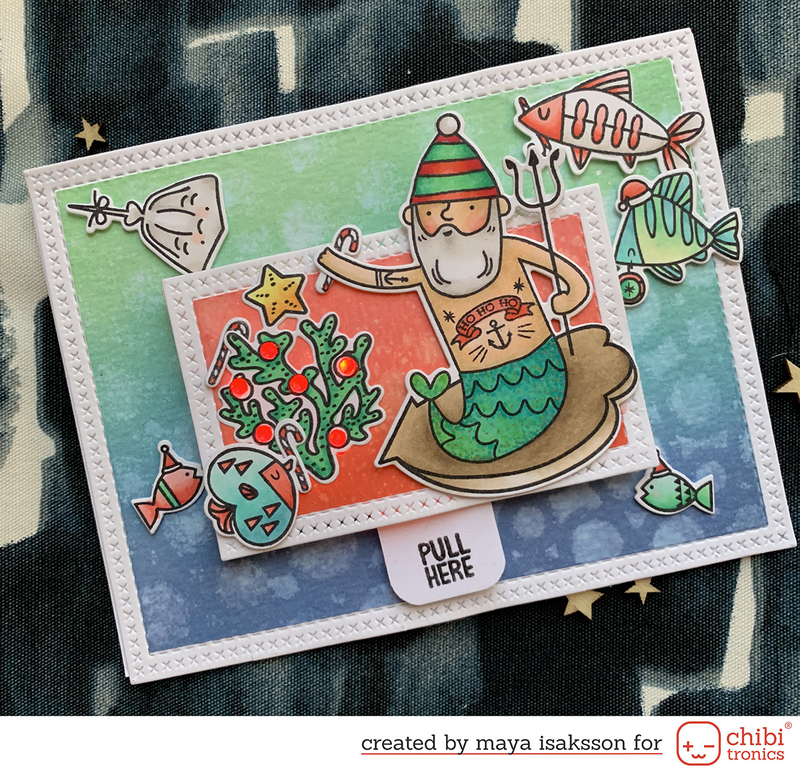 I had so much fun doing the Chibitronics - MFT stamps blog hop this Friday. If you haven't hopped along yet you can find the post here. There's still time to hop today. If you leave comments along the way you can win prizes, and there are some pretty awesome projects along the way. 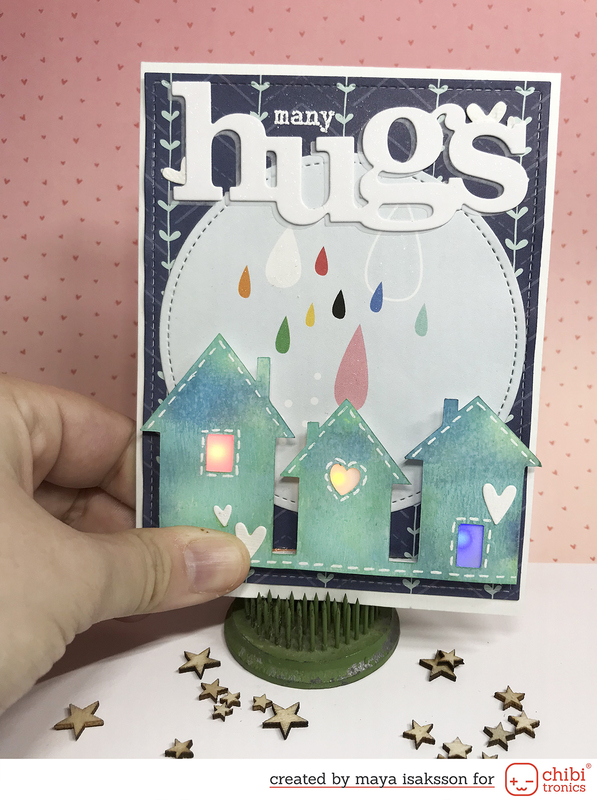 Anyway, today I blogged this card on the Chibitronics blog. If you hop on over there you will get the full photo tutorial and a nifty trick how to hide copper tape in narrow spaces. 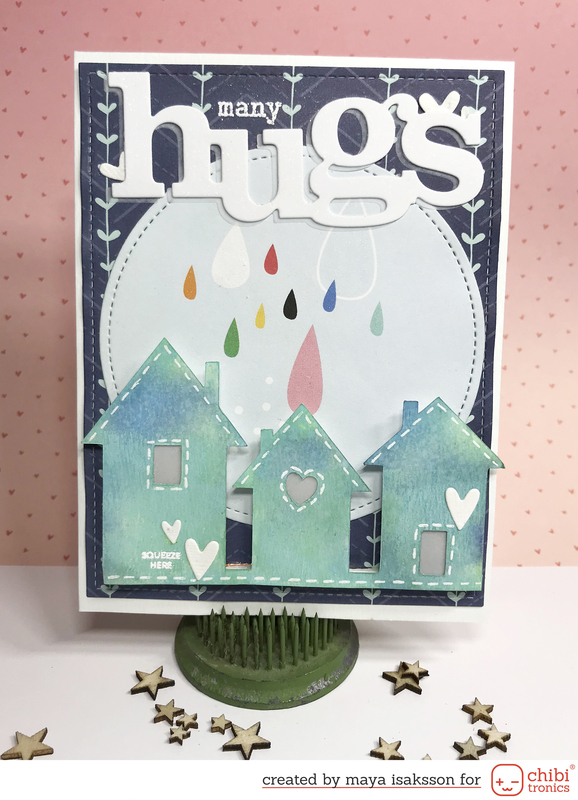 The houses are a cut file by Pretty Crafty Stuff, you can find the link in the sidebar. I'm thinking about making some new designs for the shop. I haven't made any in a long time and I have some ideas. I'm also happy to get suggestions on new files. I can't promise anything but if I get inspired I might just cook up a new batch. I'll get back to nursing my cold and feeling sorry for myself now. Maybe I'll watch some Olympics, so far Sweden is doing pretty great :) Are you watching? What are your favorite sports in the winter Olympics? I enjoy watching figure skating and alpine sports but my husband is mainly watching curling. It's a bit slow for my taste.